Cranfield University Blogs | How do I reference… a conference paper? As we enter thesis season, many of you may find that you are using conference papers in your research. 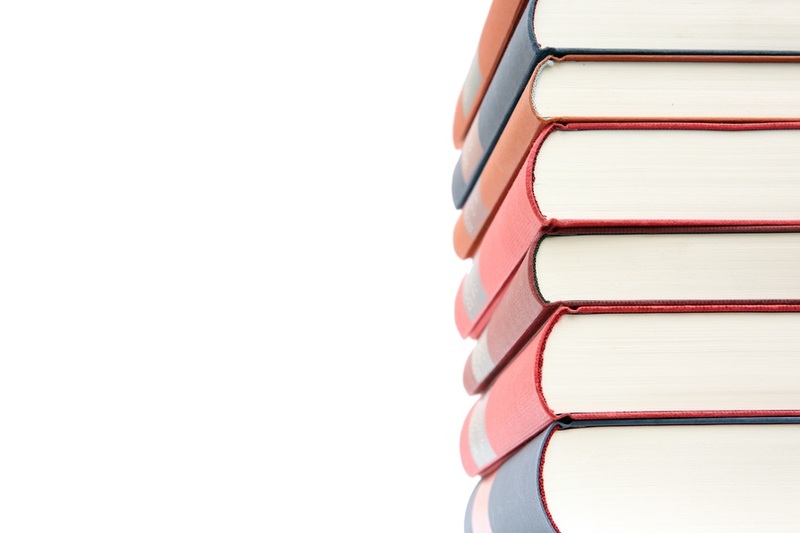 Just like books and journal articles, these need to be referenced at the end of your work and, just to make life a bit more interesting, conference paper references have their own specific format, making them different to those for other articles or reports. Rafiee, V. B. and Sarabdeen, J. 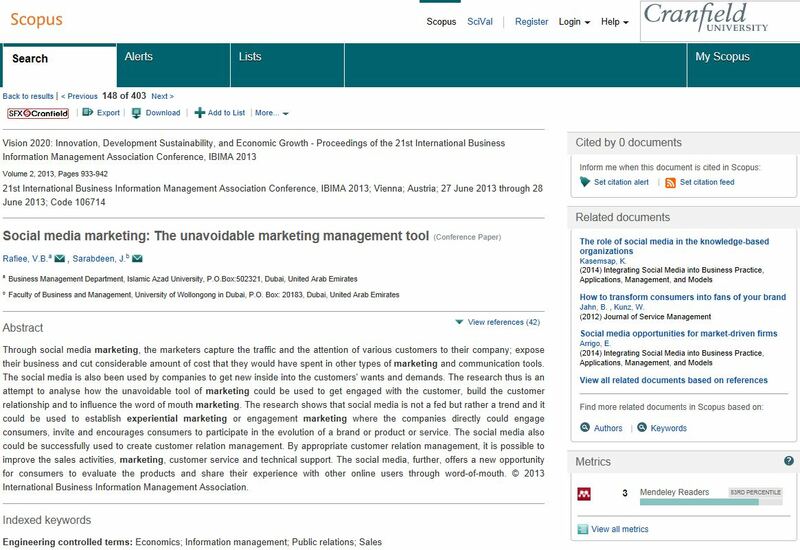 (2013) ‘Social media marketing: The unavoidable marketing management tool’, Vision 2020: Innovation, Development Sustainability, and Economic Growth – Proceedings of the 21st International Business Information Management Association Conference. Vienna, Austria, 27-28 June. Vienna: IBIMA, Vol. 2, pp. 933-942. As you can see from the screenshot, I sourced this conference paper from Scopus. If your paper is available online, then you need to add in the URL and the date on which you accessed it, as you would do with any online source. These are added to the end of the reference, as shown here in blue. Rafiee, V. B. and Sarabdeen, J. (2013) ‘Social media marketing: The unavoidable marketing management tool’, Vision 2020: Innovation, Development Sustainability, and Economic Growth – Proceedings of the 21st International Business Information Management Association Conference. Vienna, Austria, 27-28 June. Vienna: IBIMA, Vol. 2, pp. 933-942. Available at: http://www.scopus.com/ (Accessed: 25 January 2016). Where you make reference to this item in your text, follow the normal ‘name and date’ conventions and simply follow any mention with (Rafiee and Sarabdeen, 2013) or a variation thereon, remembering to add a page number where a direct quotation is involved. As always, if you have any questions about referencing or citations, please contact MIRC.